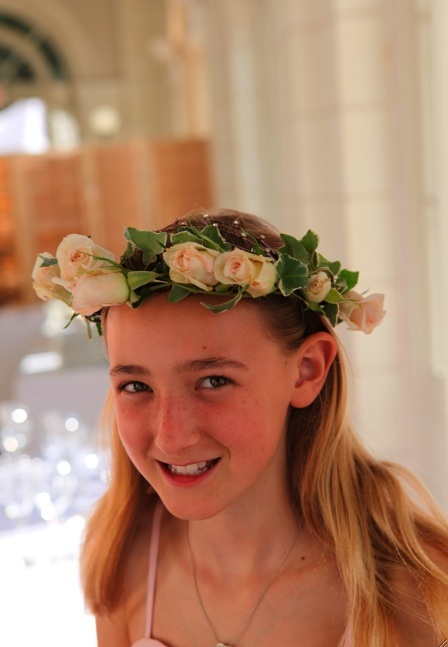 Rebecca Shepherd floral design: Brooklyn Boat house wedding flowers, "Great Gatsby" style. 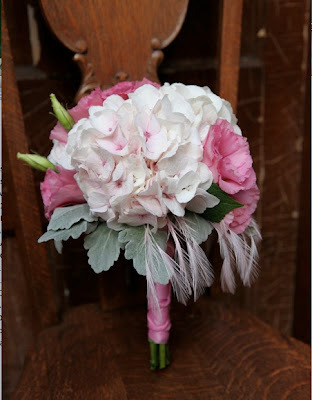 Brooklyn Boat house wedding flowers, "Great Gatsby" style. I love every thing from the 1920's and was thrilled to do a "Great Gatsby" style wedding at the Prospect Park Boathouse. This venue is not only gorgeous, but, it's practically my back yard. My bride contacted me only TEN day's before her wedding! 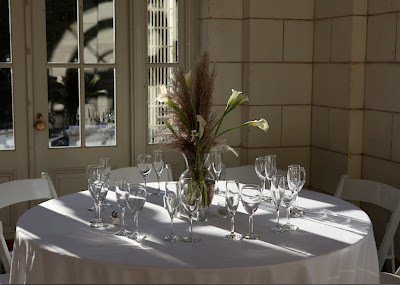 We had a very tight budget, so, we did simple center pieces using Pampas ferns, white calla lily's and a strand of pearls dripping around the container. The brides maid's bouquet was created with pale pink hydrangea, pink lisianthus lambs ear and a subtle semi circle of pale pink feathers. 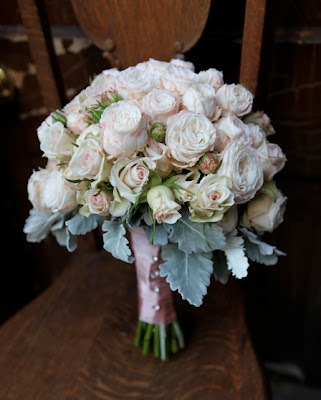 The bridal bouquet was hands down my favorite from this collection. I got my hands on some unimaginably light pink "bombastic" roses which made for a breath taking-ly (not a word; I know!) sweet and simple bouquet. I collared the roses with soft silvery lambs ear for a final touch. I also used my vintage bird cage as a card receiver. 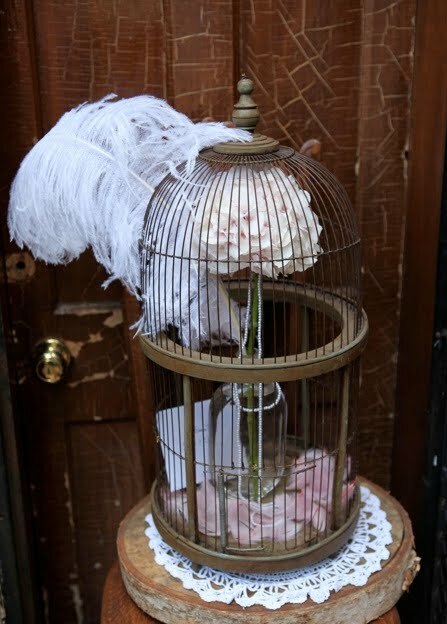 Inside was a single stem of pale pink hydrangea in a vintage medicine bottle dripping with pearls and pink feathers sitting at the bottom of the cage.